Can I say that? Lol I know its April … listen! I’m tryna push out content that’s useful to you every time I blog. Anyhow I’ve been having some “Riam time”. What does that mean you ask? Having sometime to myself to allow me to be productive and be the best version of myself that I can be at this present time. 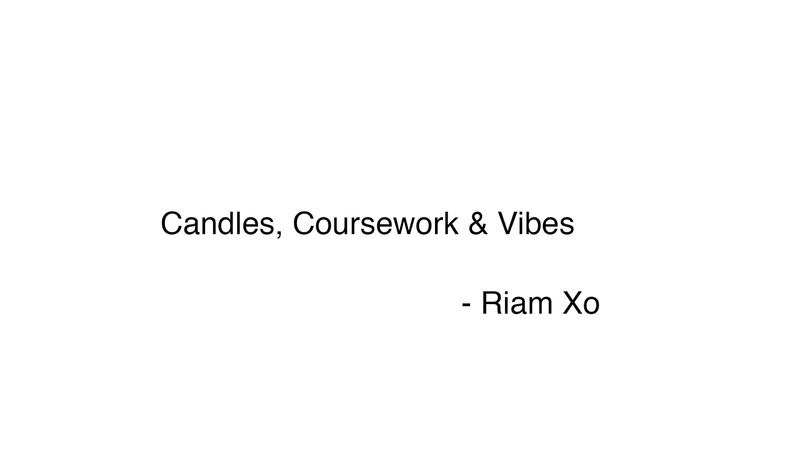 Man like Riam is coming to you with another blog post about being a G! From the beginning of the year I’ve had this “I don’t care” attitude towards a lot of things (I’m sure why but I just can’t be bothered with things). My aim has been not letting certain things linger on my mind for more than it should or just getting stuff done even though I really don’t want to do productive things also finding time in the day to have some me time and finally taking myself out of my comfort zone. Here are some things I’ve done to be a G.
· DURING THE DAY: somewhere during the day try and dedicate 10 non-interrupted mins a day dedicated to thinking (sounds odd I know) but we don’t really just sit there and think. Allow your creativity to flow and let your mind have space to expand on ideas that you have. BEFORE BED: dedicate 5 mins to just deep breathing and mediation, to calm yourself down and throw any negativity that you have picked up during the day. Inhale and exhale deeply then fill your mind with positive thoughts. · CLEAN!! Yo cleaning is such a therapeutic thing. Every weekend find something to clean out. If that’s a closet full of clothes or random pictures that are on your phone, just do something! Something that the mind needs every now and again so if you do it on a weekly basis you see that you feel so much lighter when the week begins. · LESS SCREEN TIME: I’ve noticed that either always on my phone or always on my laptop, a lot of us use these things to communicate of do work but find a way to at least cut an hour of using technology down. Instead of using twitter or insta try and read or write down some ideas. So in the spirit of being productive, positive and doing stuff for yourself, I’ve created a playlist on Spotify that I’ve been using to just get stuff done during the day. It consists of mellow beats and calm vibes just what you need to have in the background whilst you get stuff done. (clickhere) wack on a candle, set the tone of the room, vibes to the playlist and be productive. REMEMBER: Help yourself, so you can help others! Take your time there’s no rush.